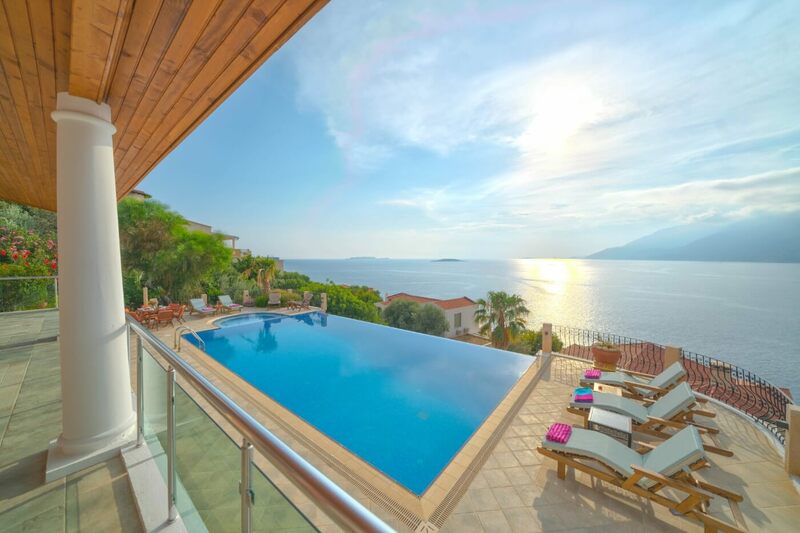 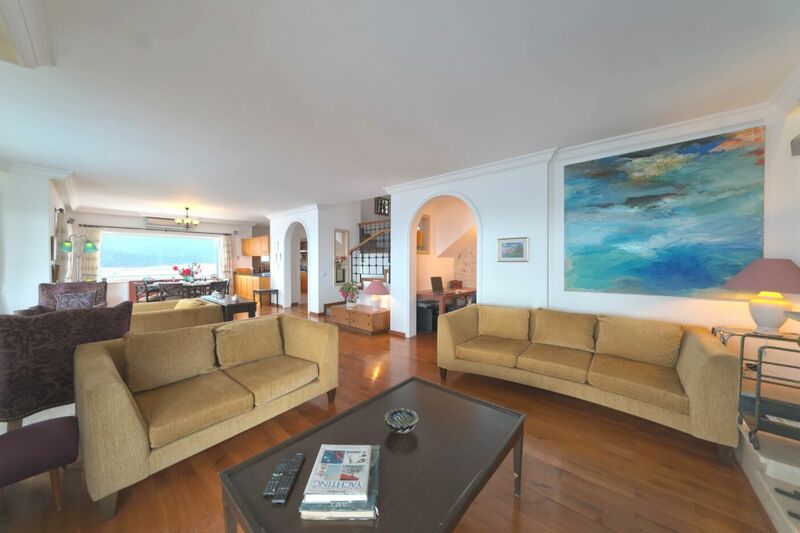 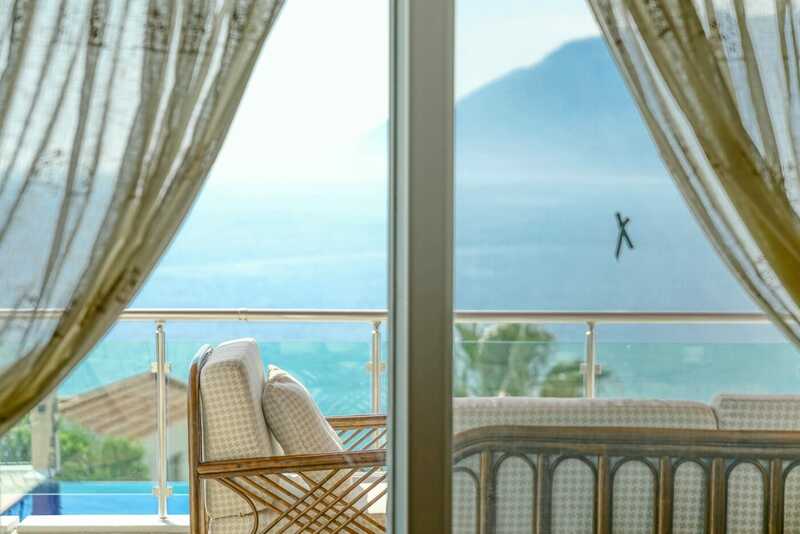 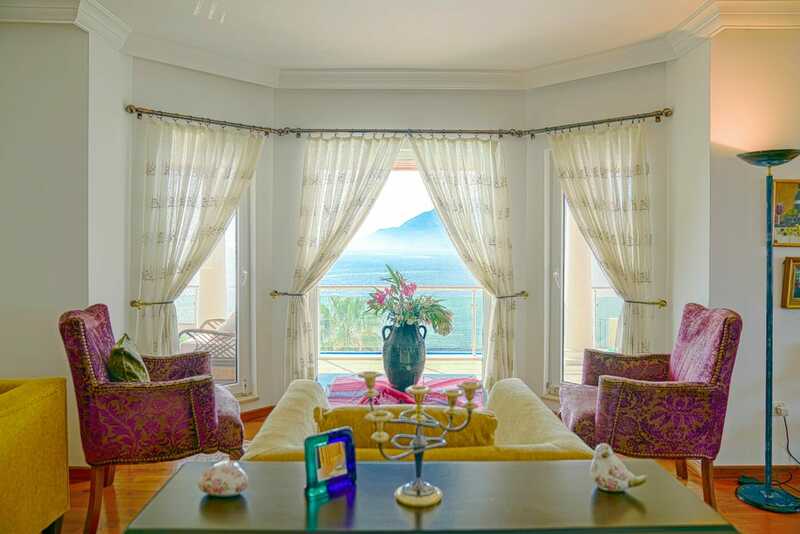 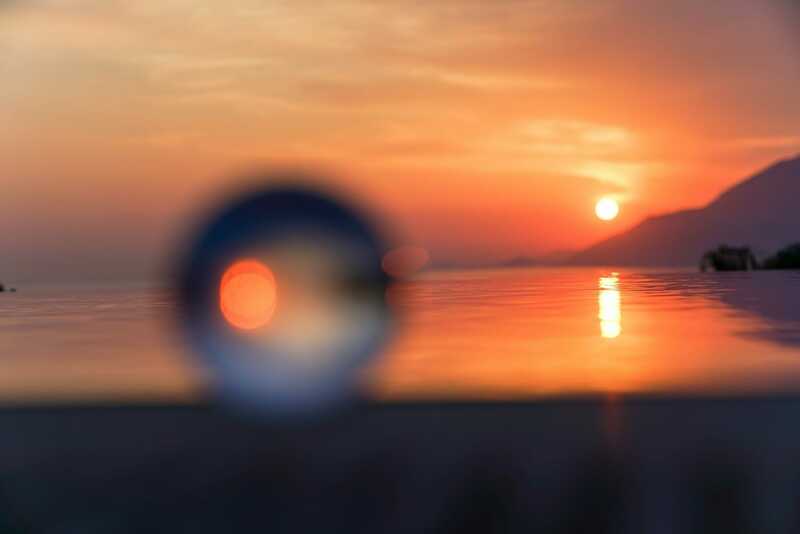 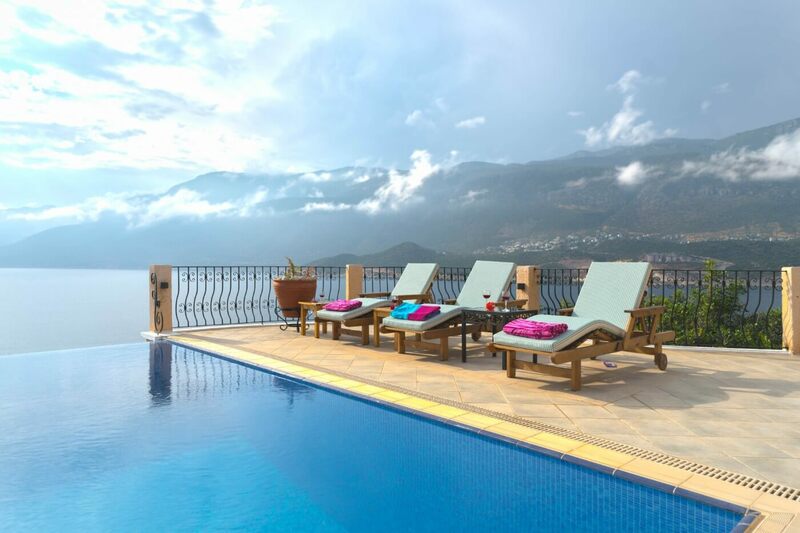 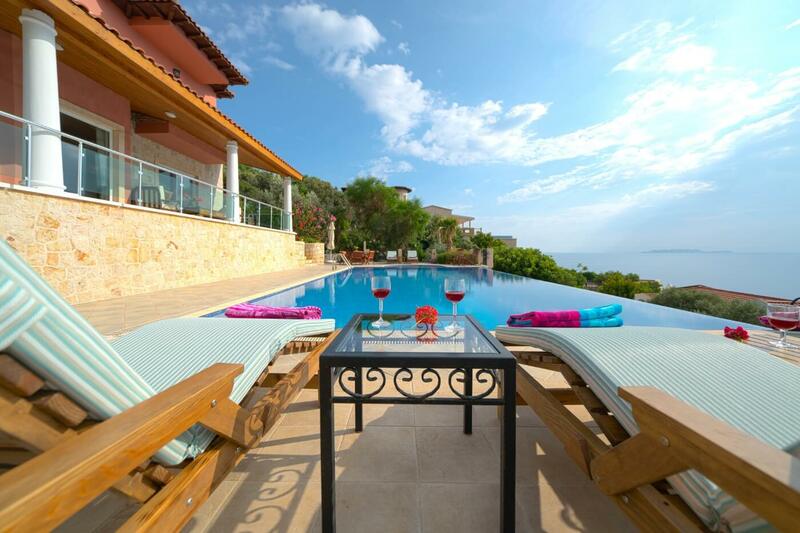 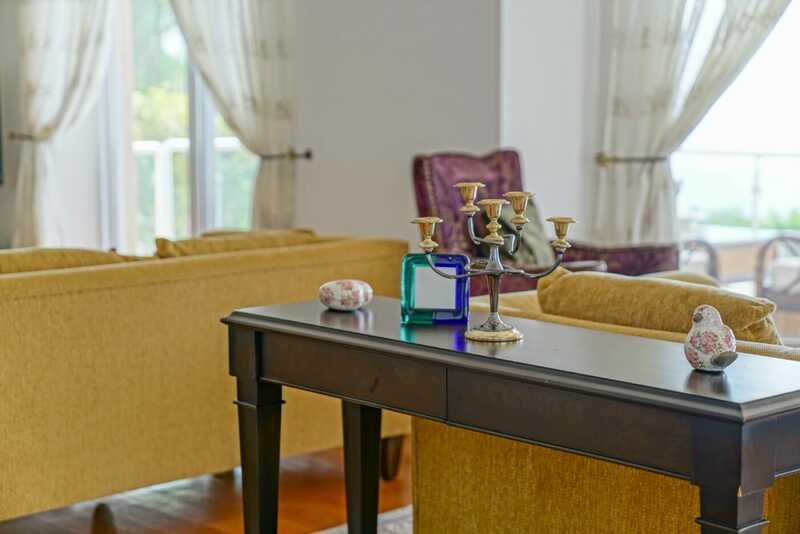 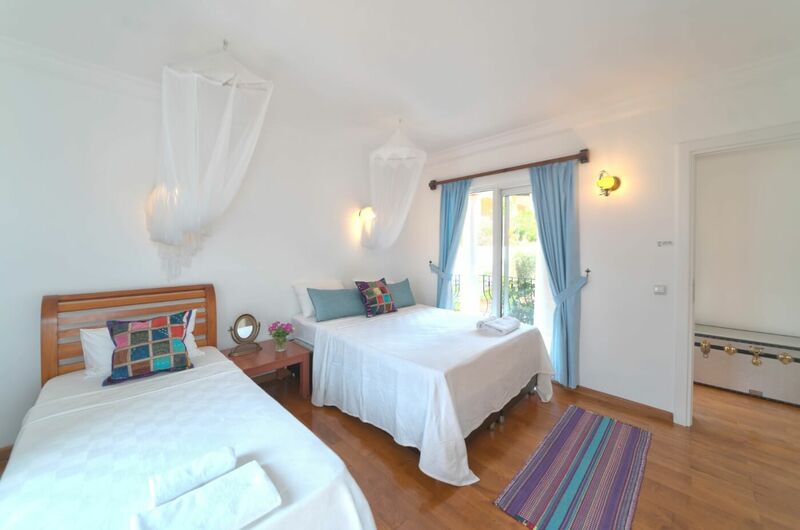 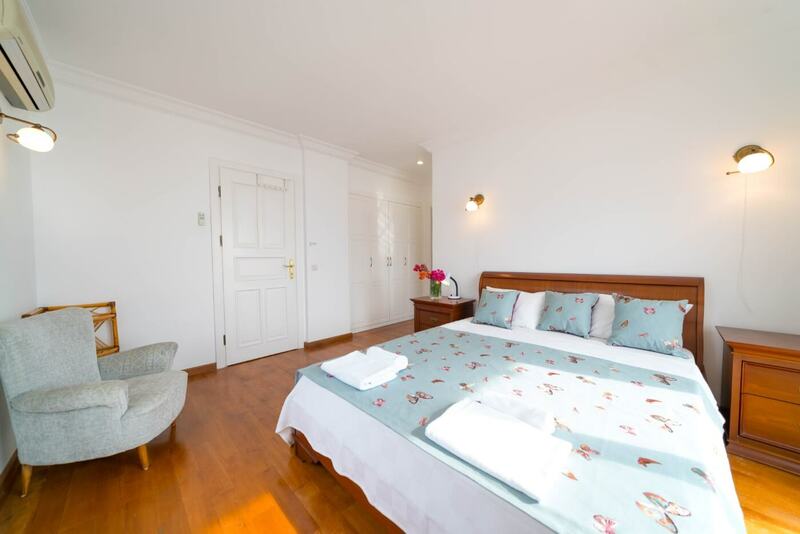 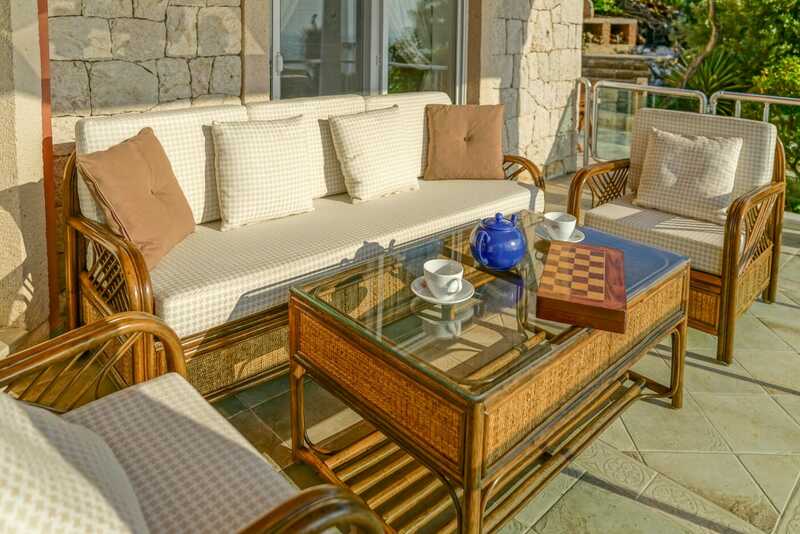 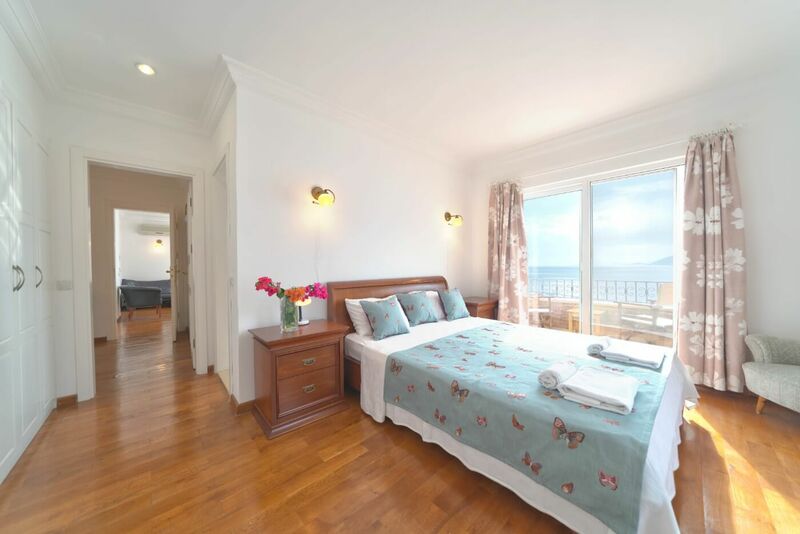 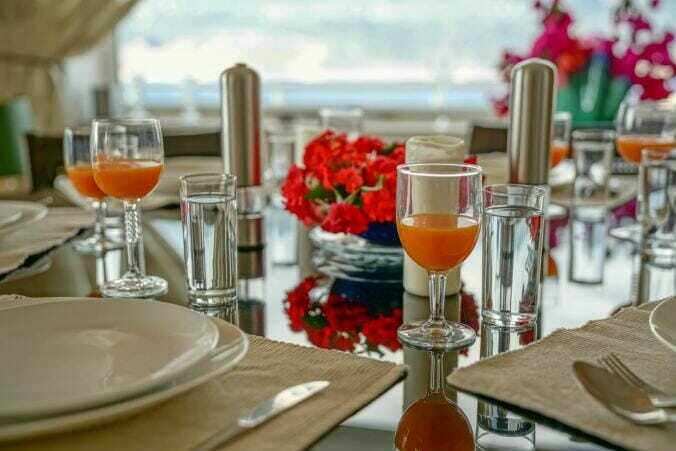 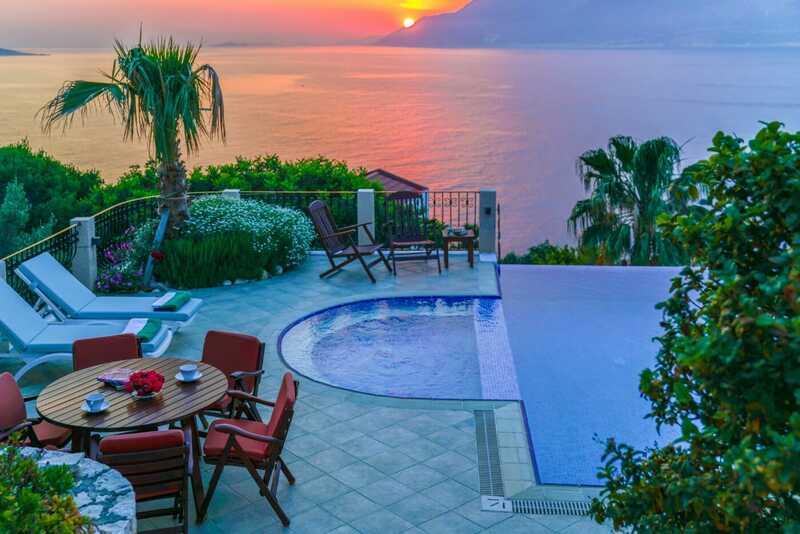 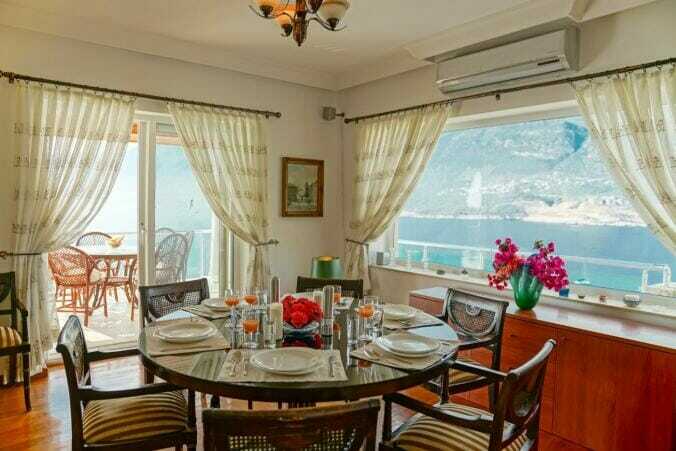 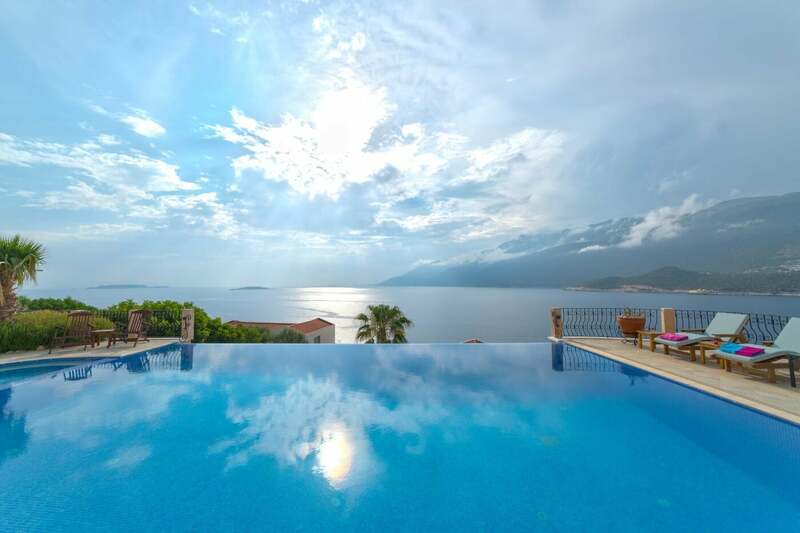 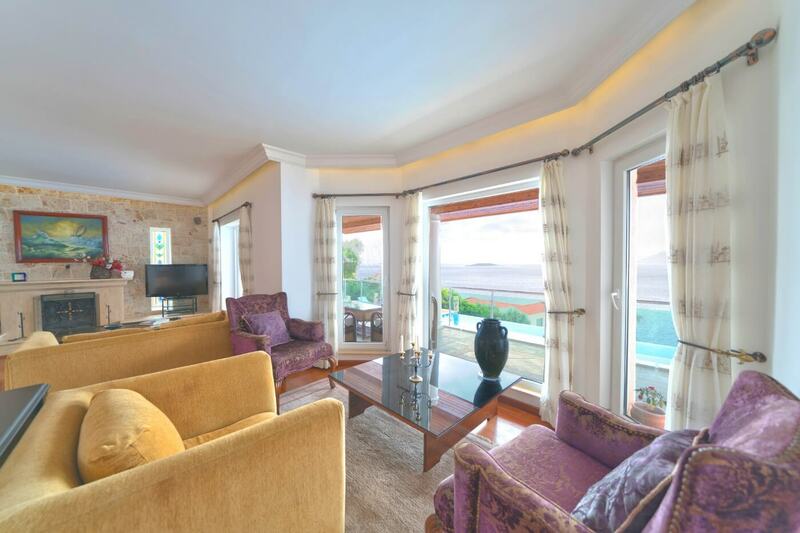 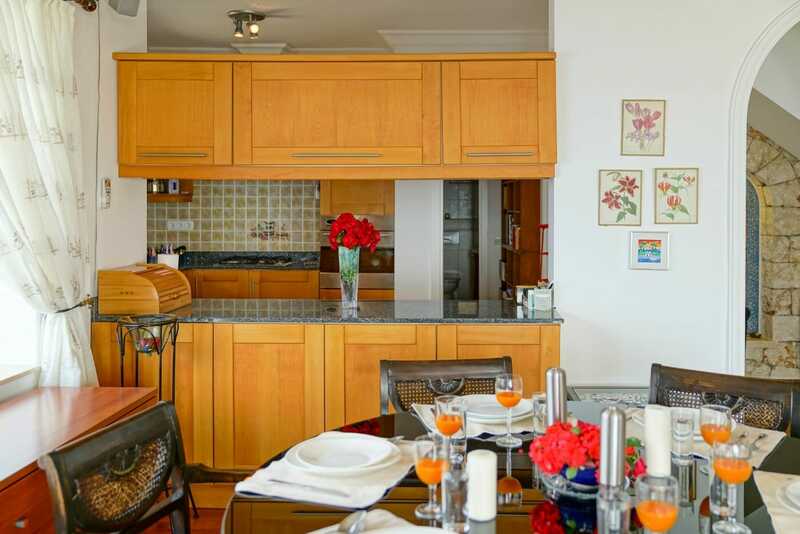 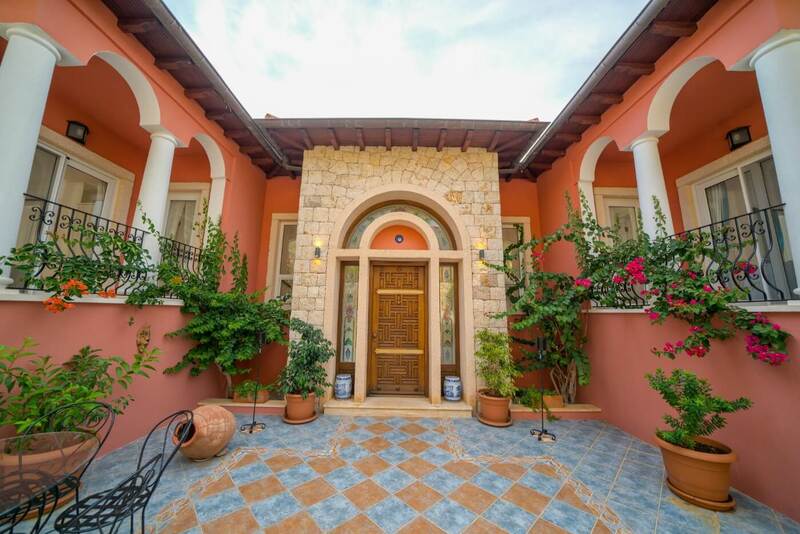 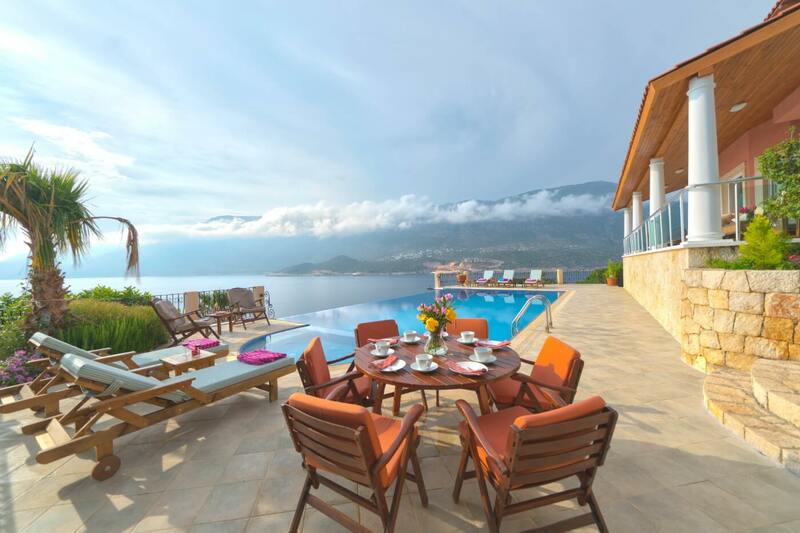 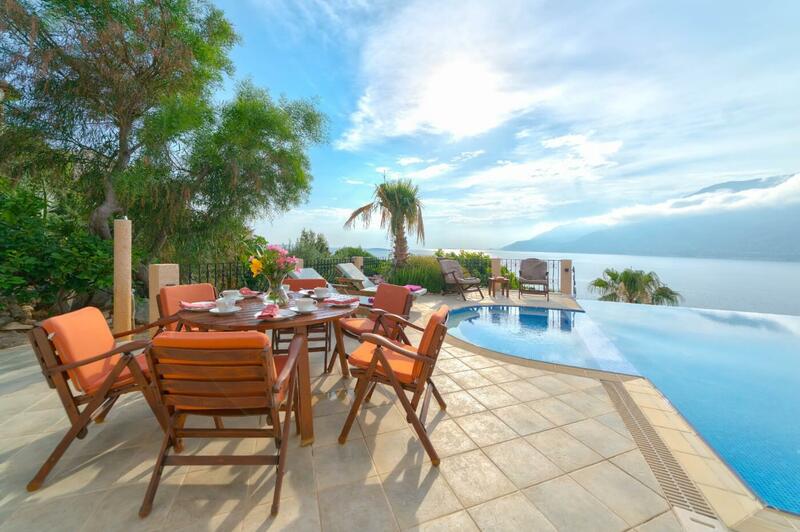 Villa Poseidon is a spacious luxury sea front villa built and designed by the present owners. 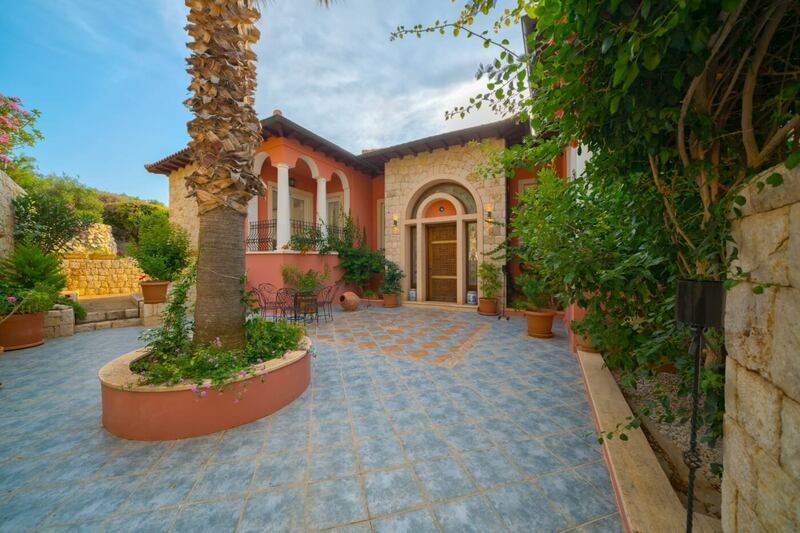 The villa measuring 330sq meters living space was originally planned and arranged over a double building plot of 1800sq meters meeting all building regulations. 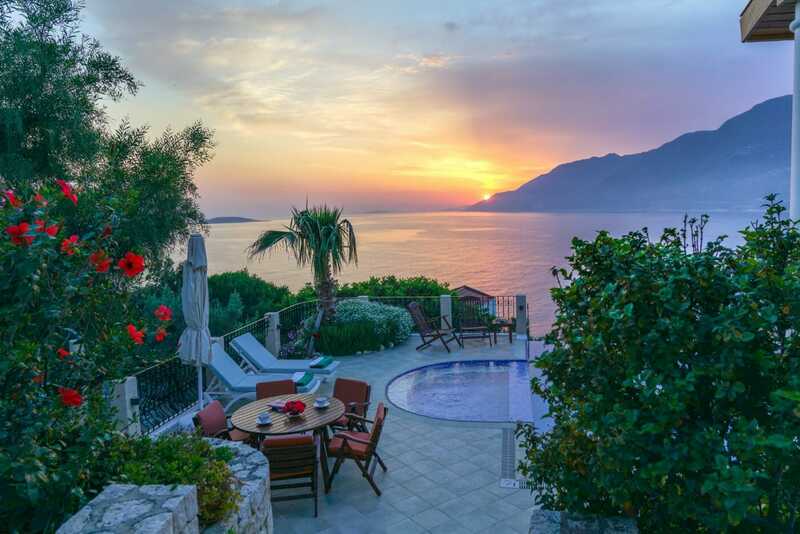 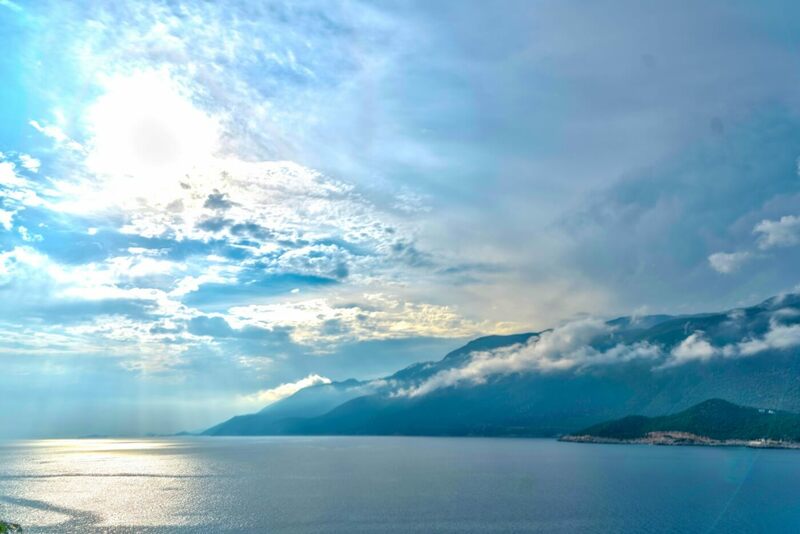 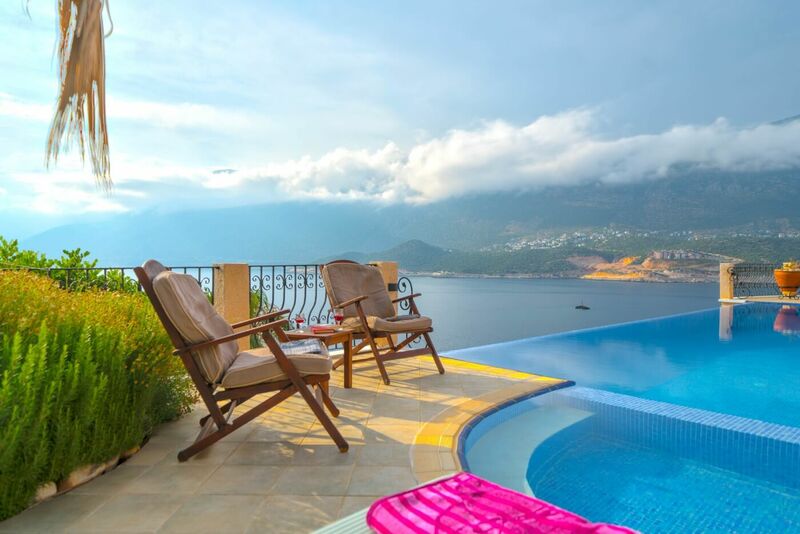 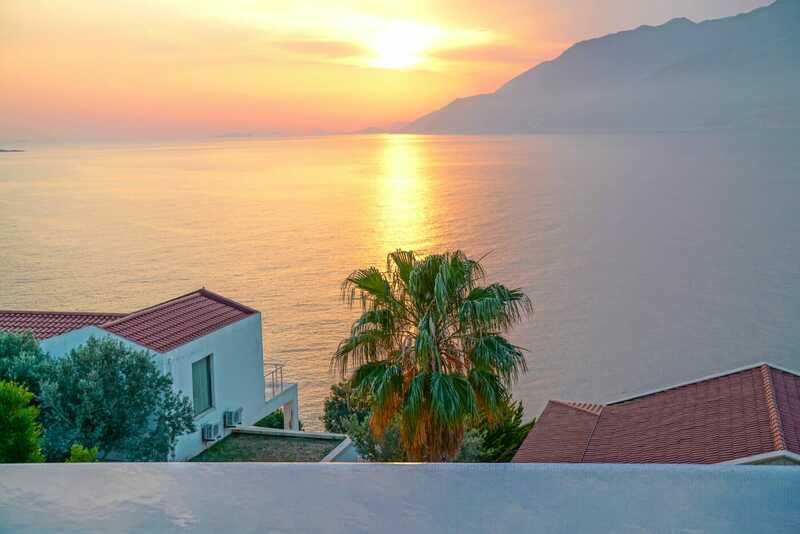 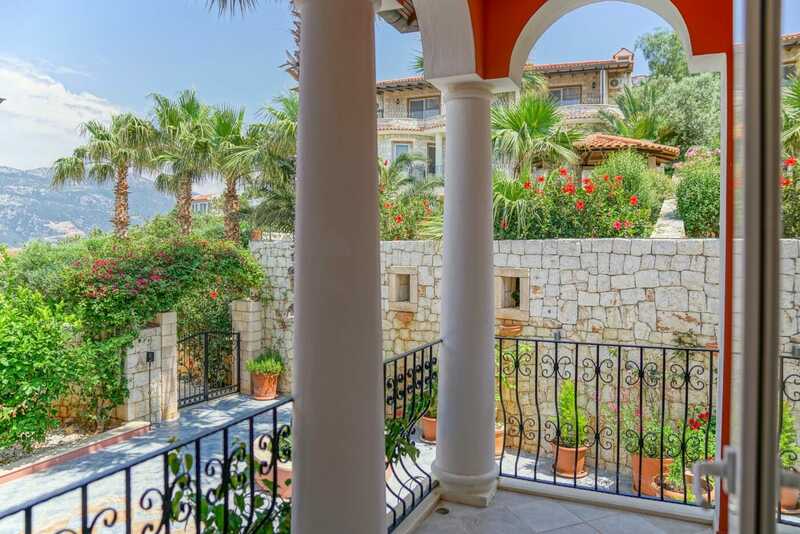 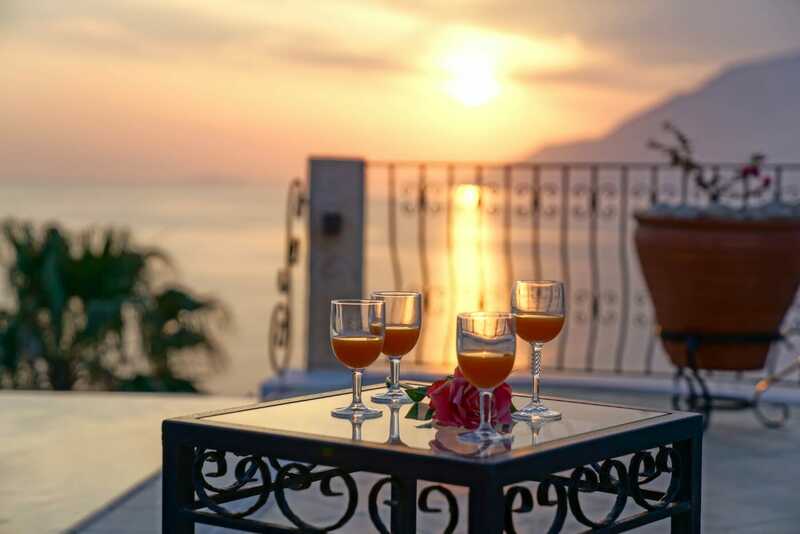 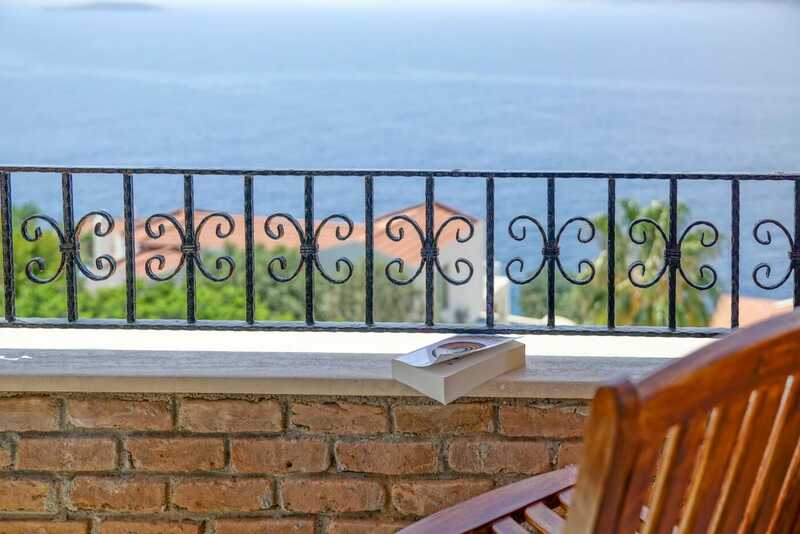 Villa Poseidon is located in an exclusive neighbourhood providing seclusion and privacy near the end of the Kas peninsula. 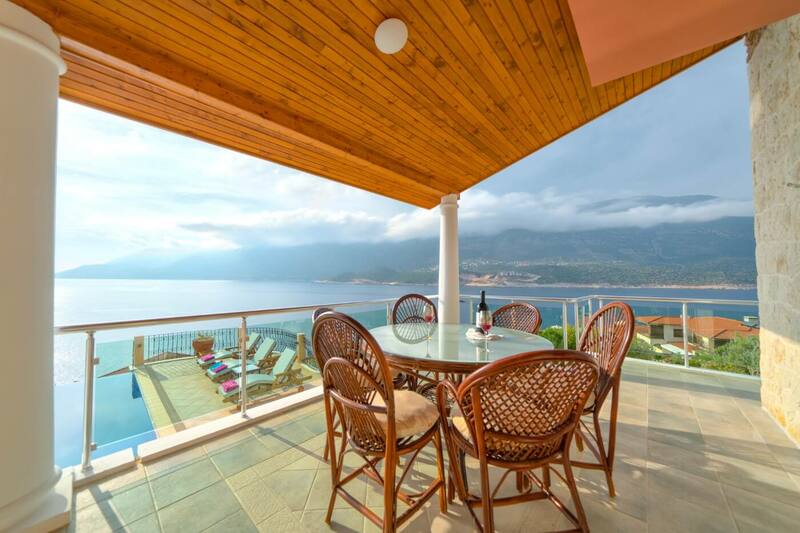 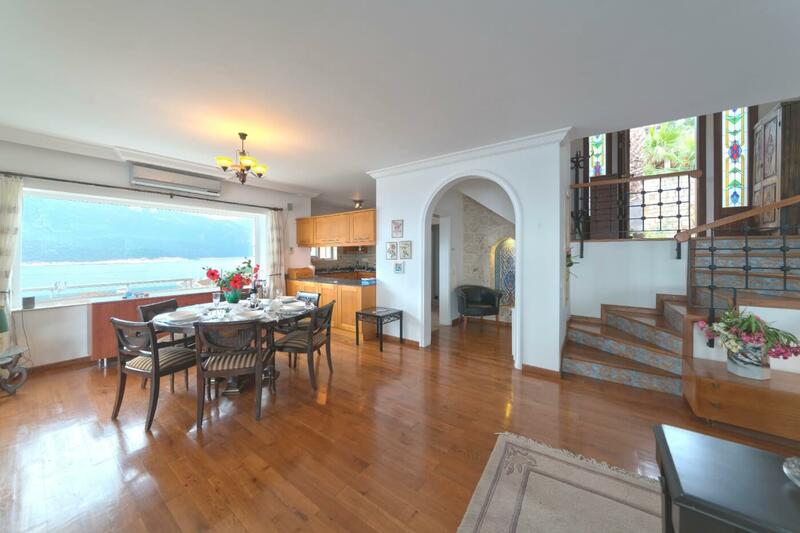 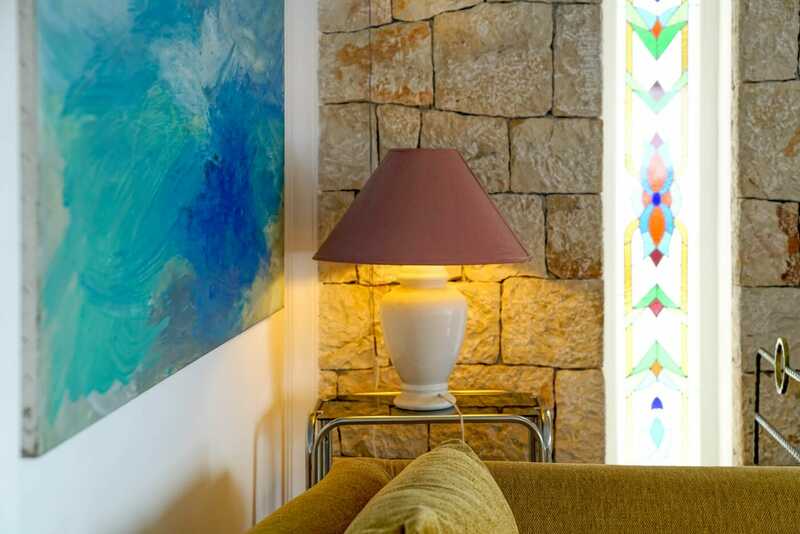 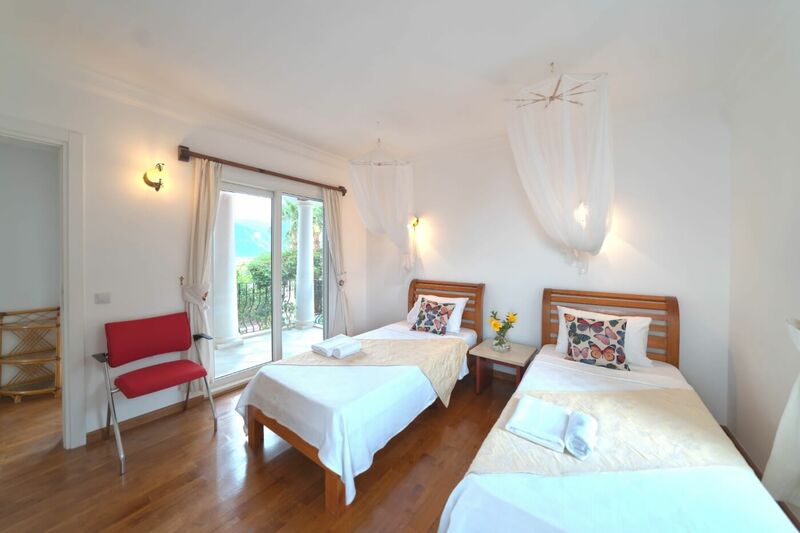 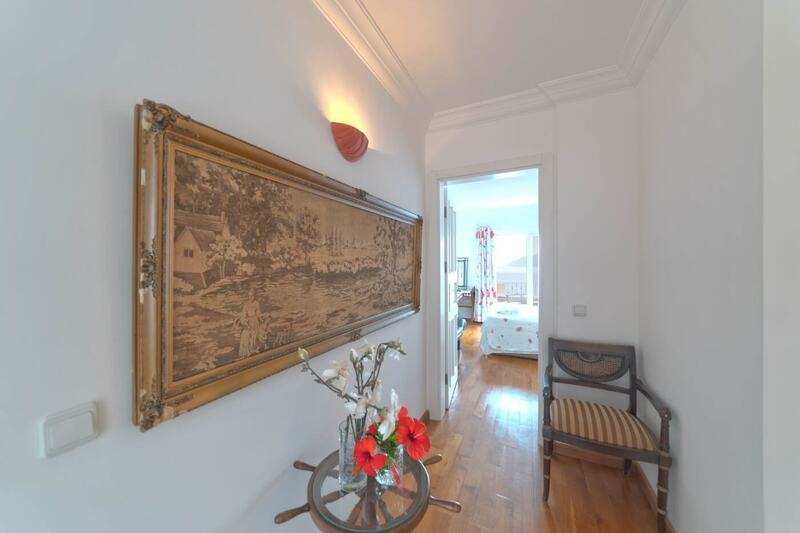 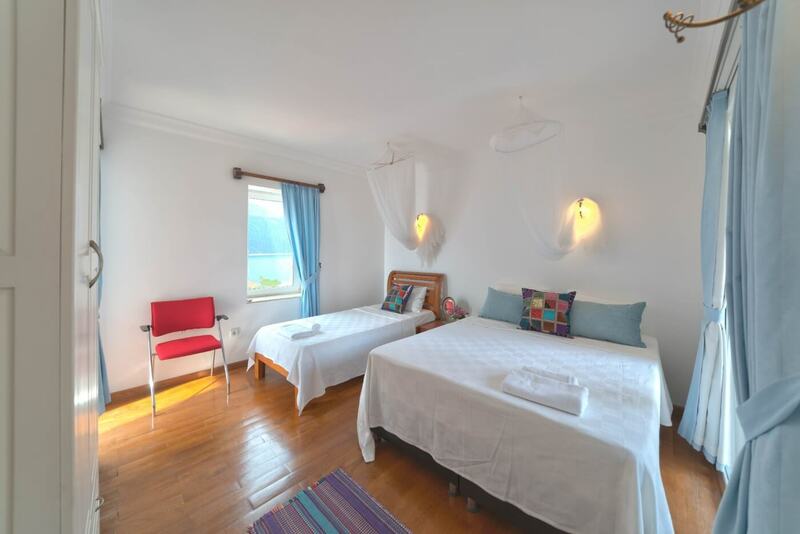 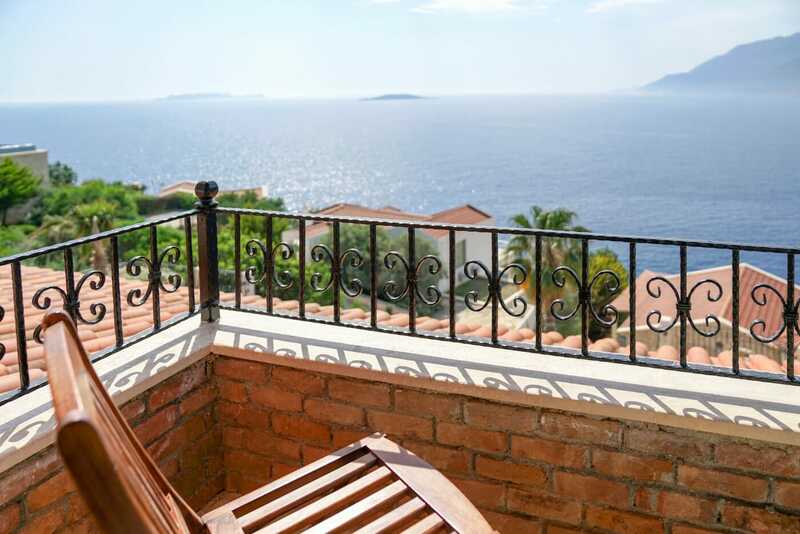 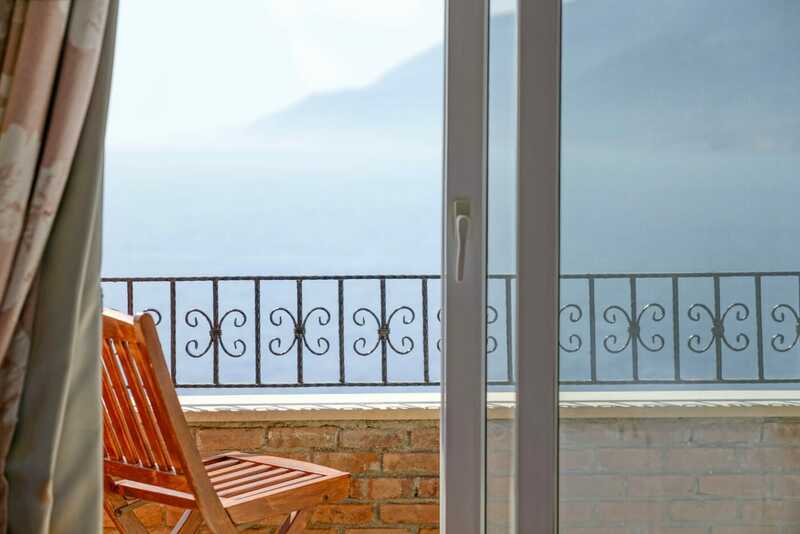 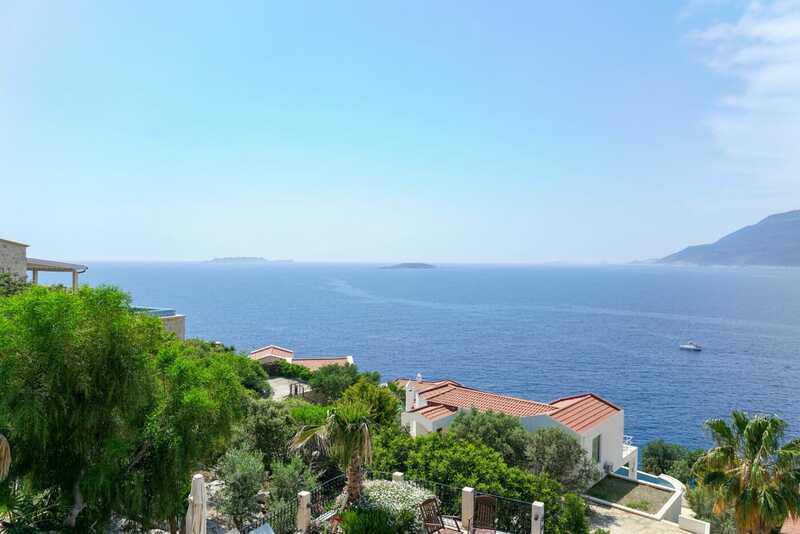 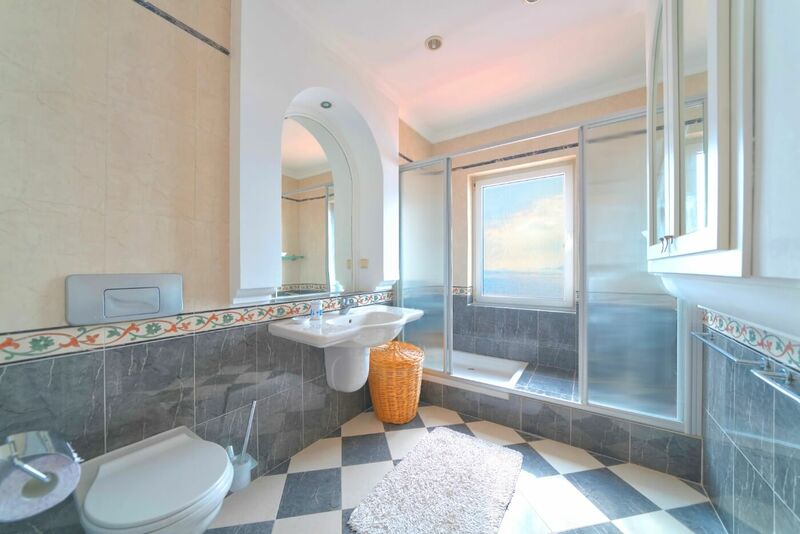 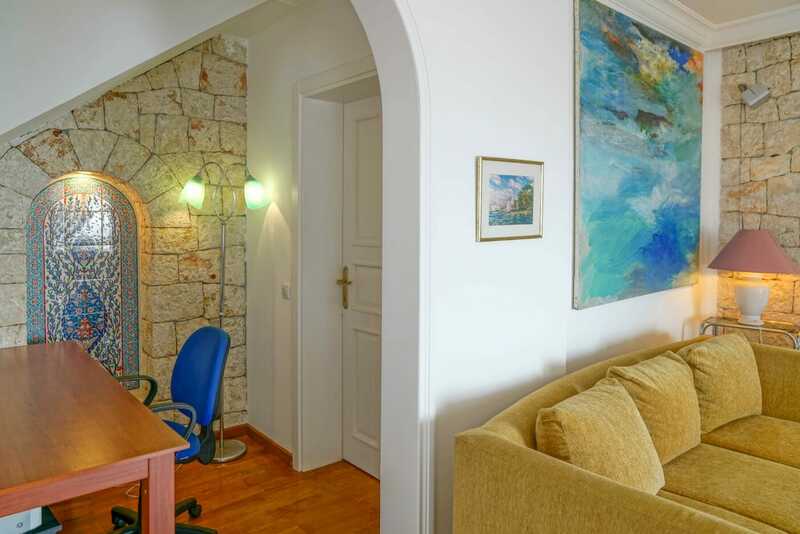 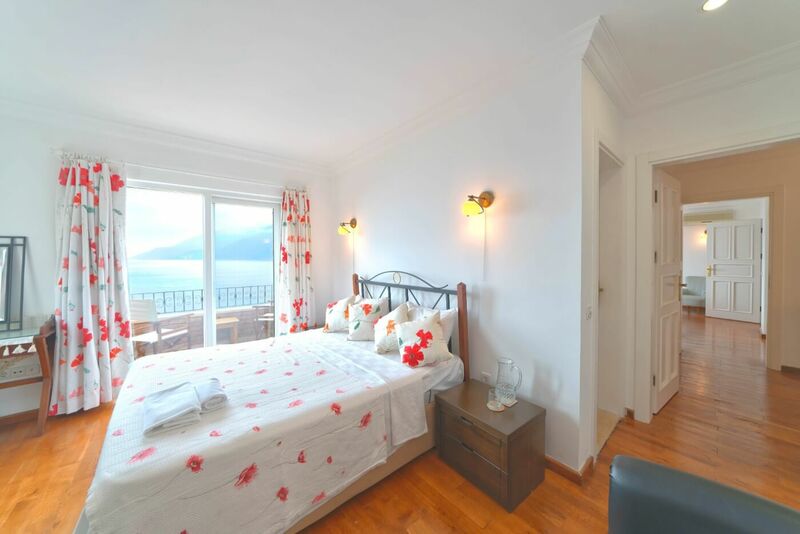 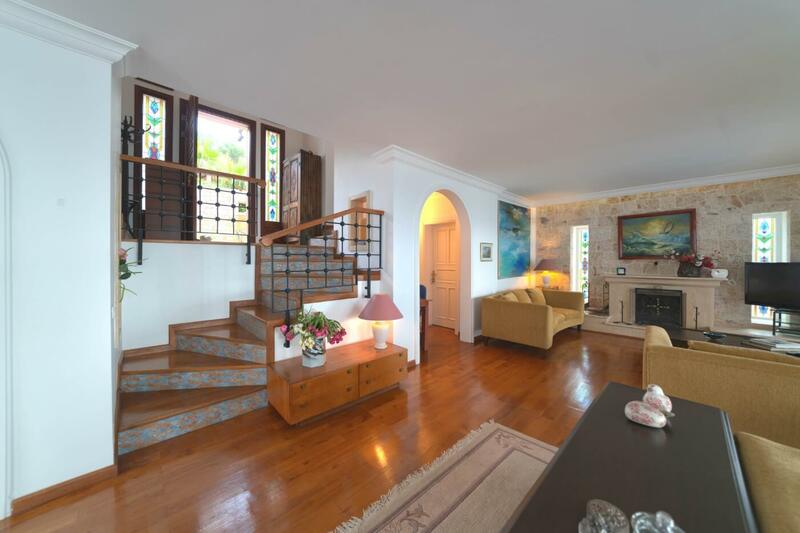 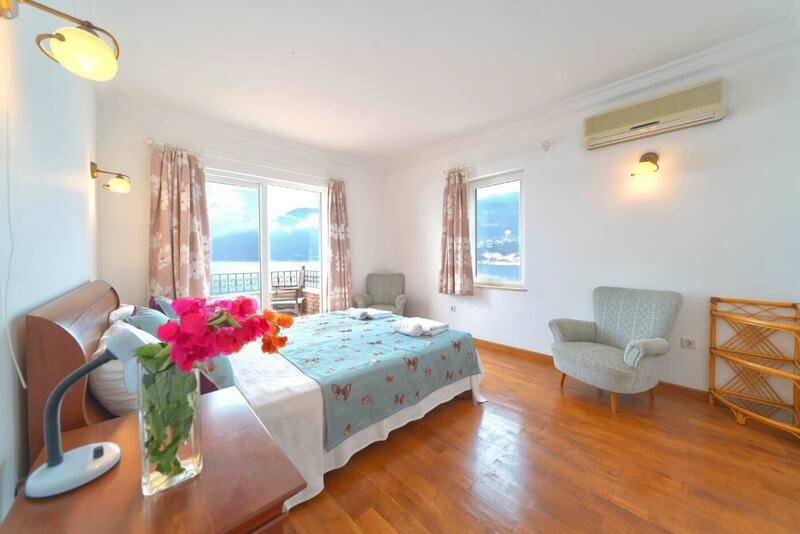 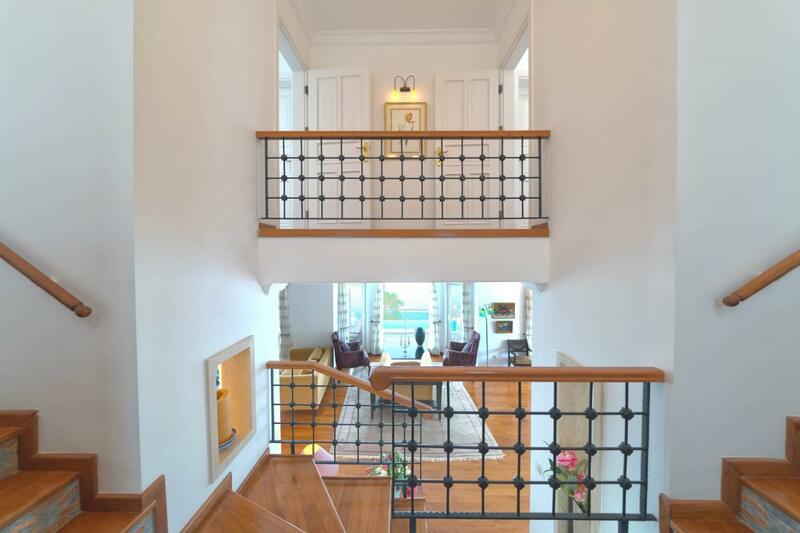 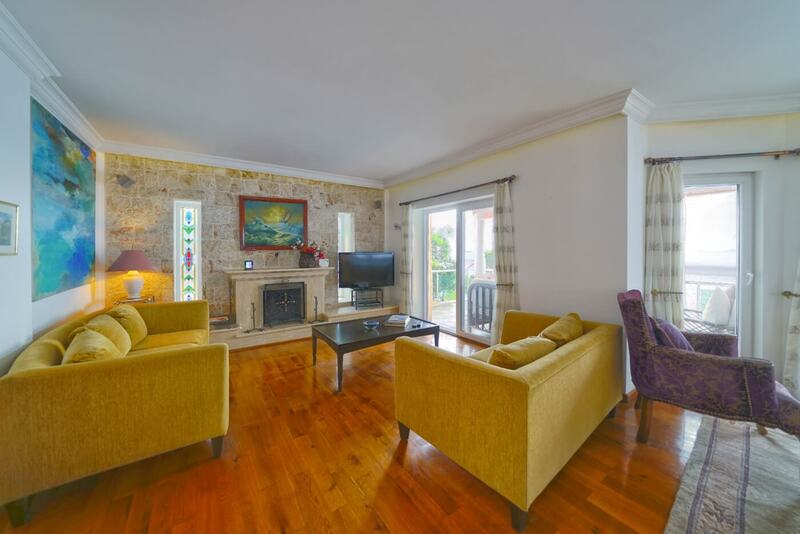 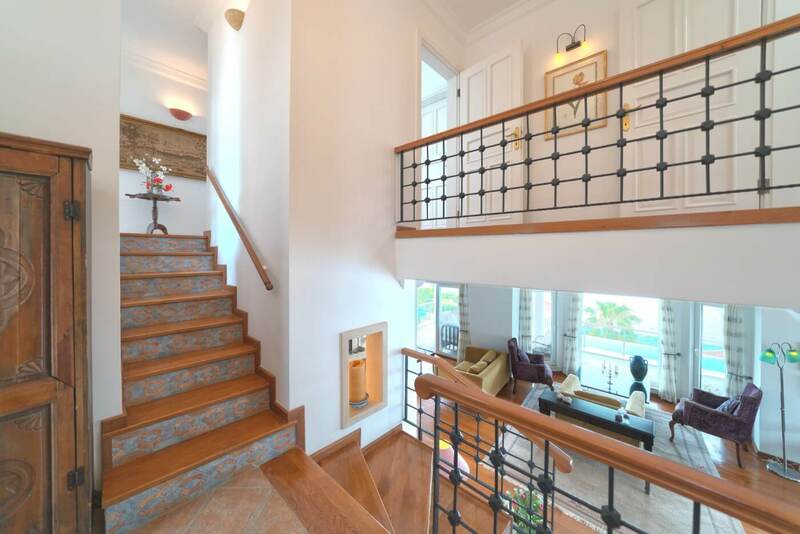 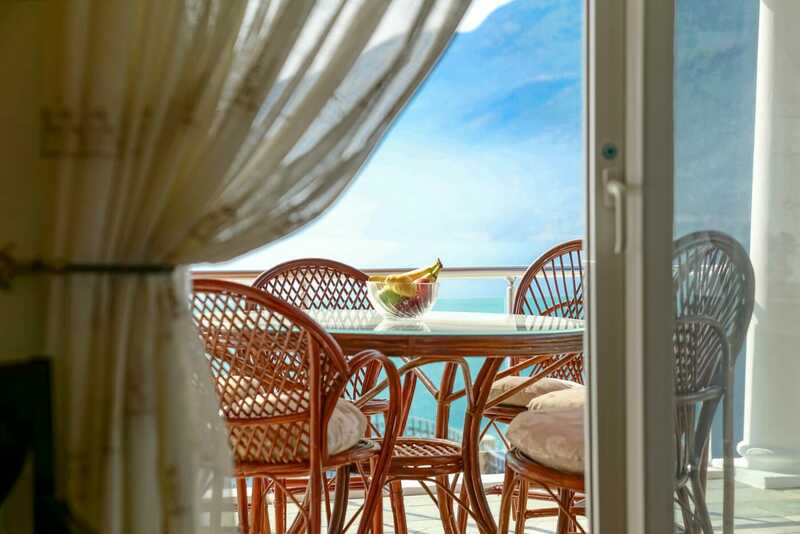 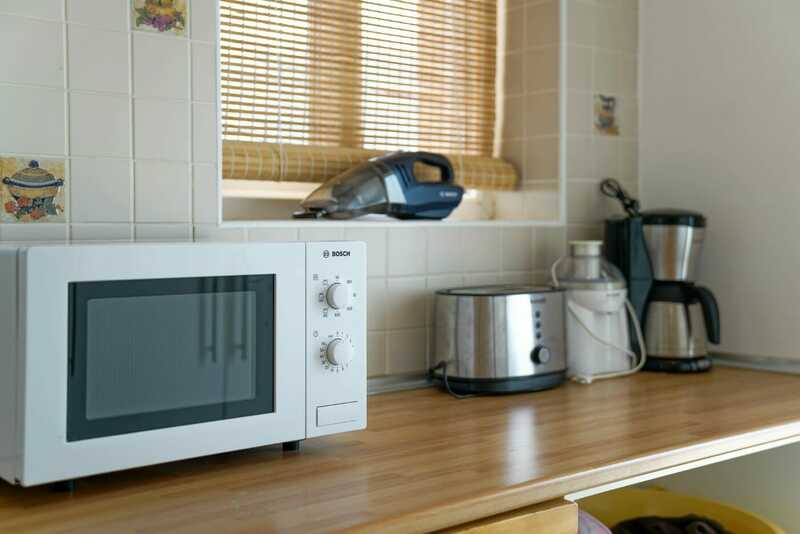 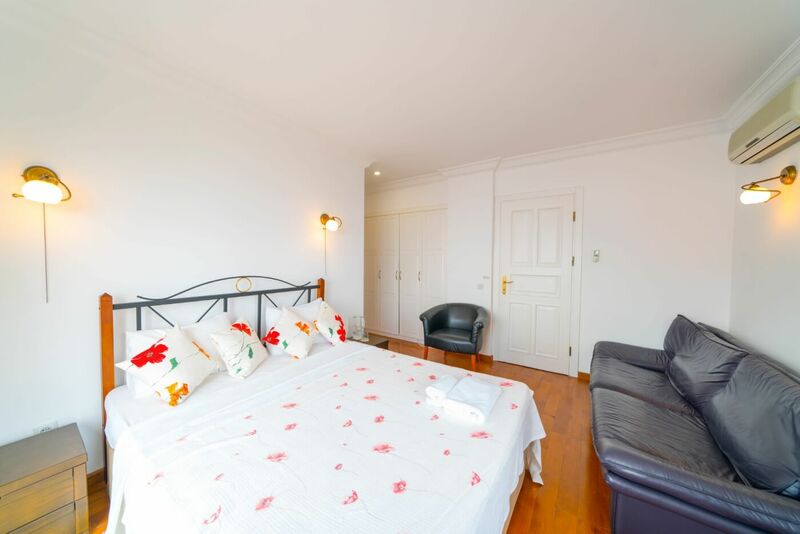 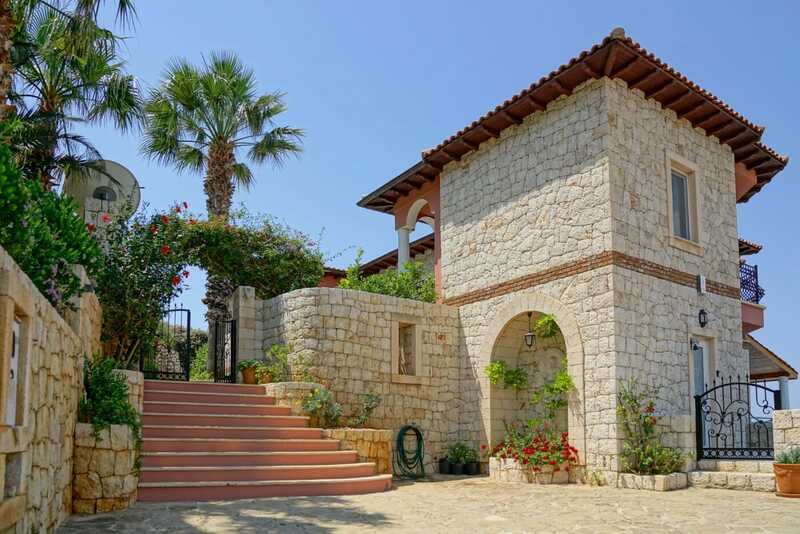 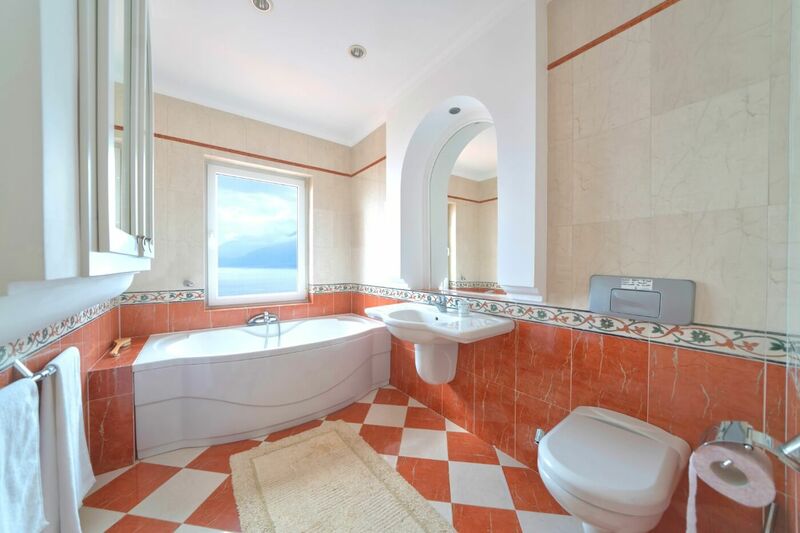 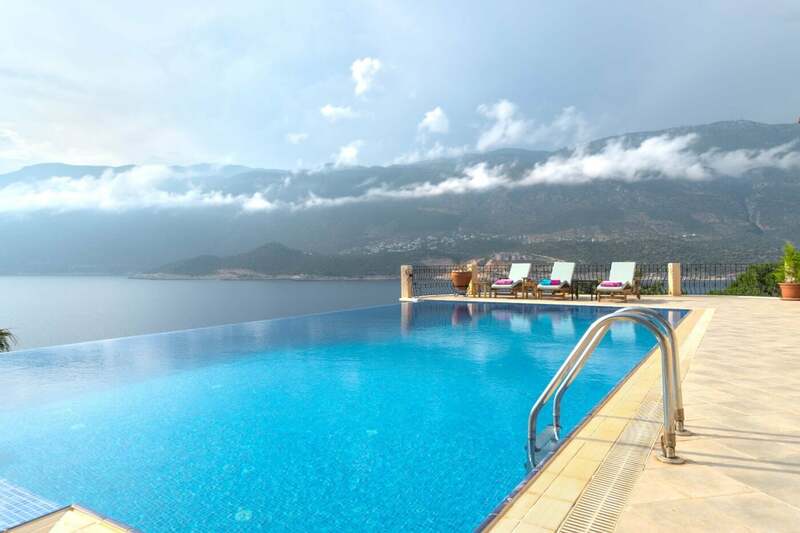 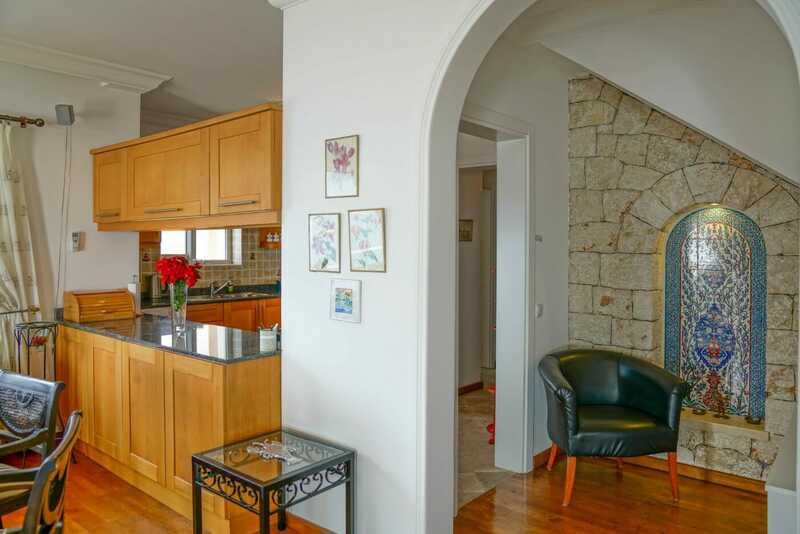 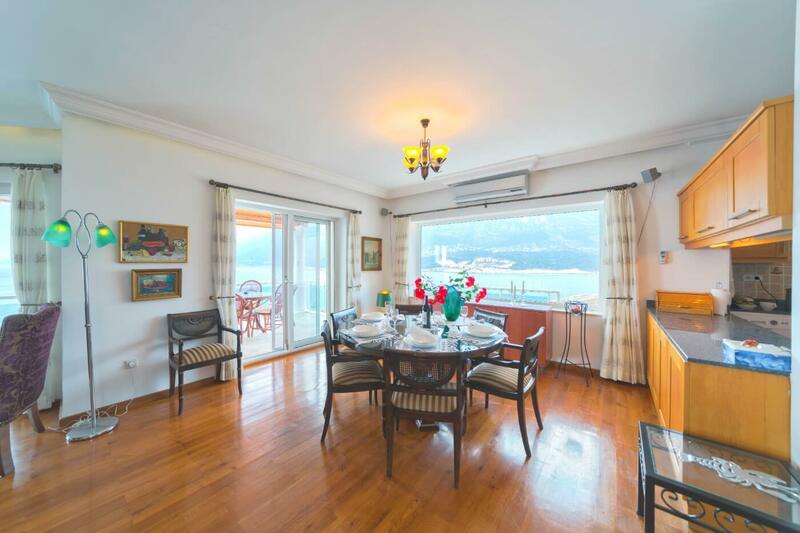 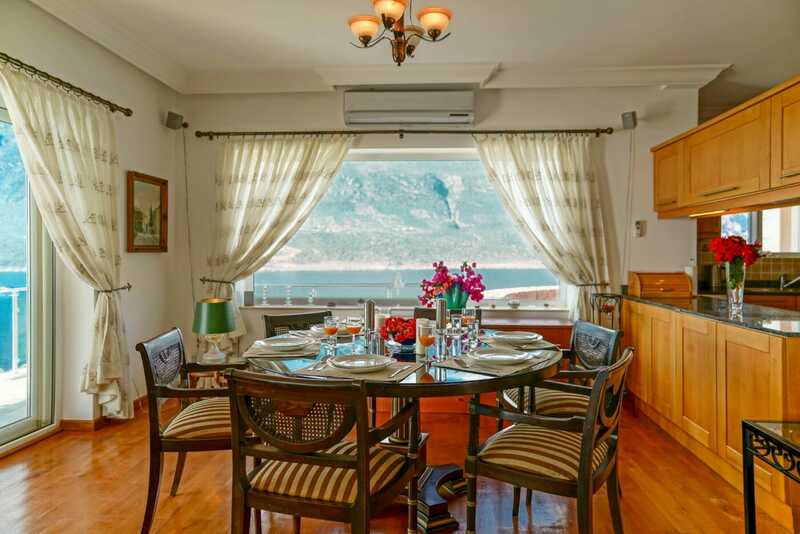 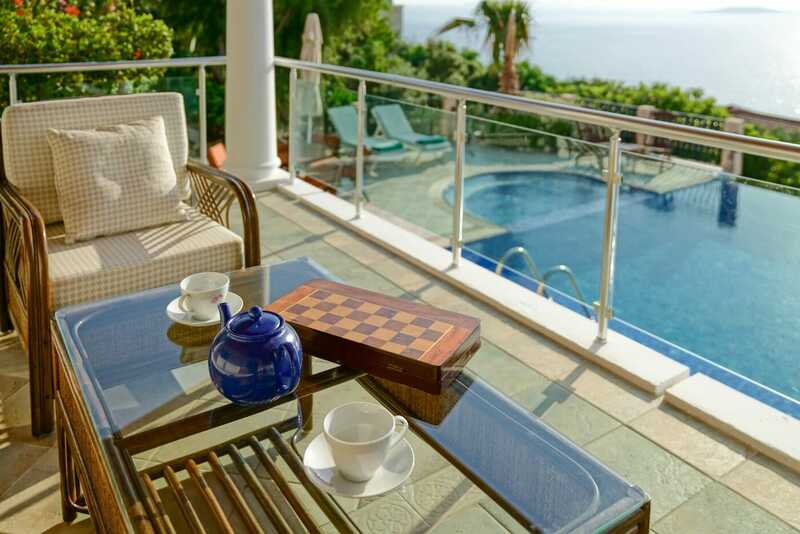 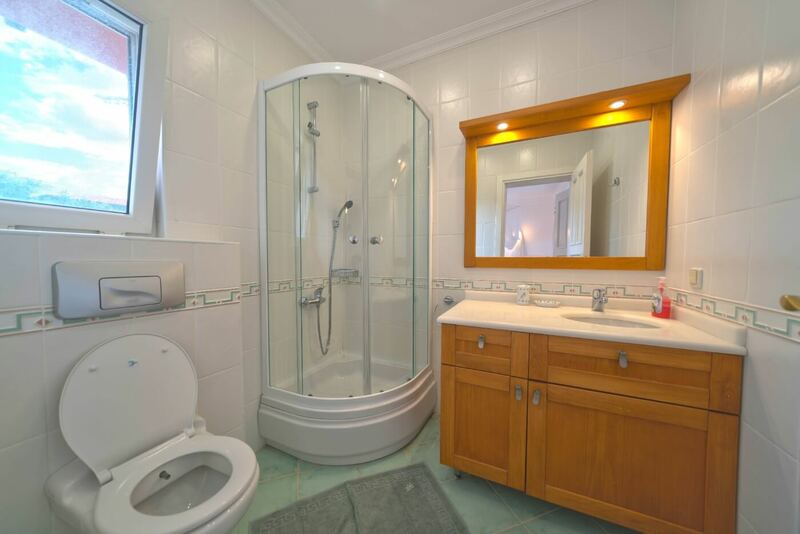 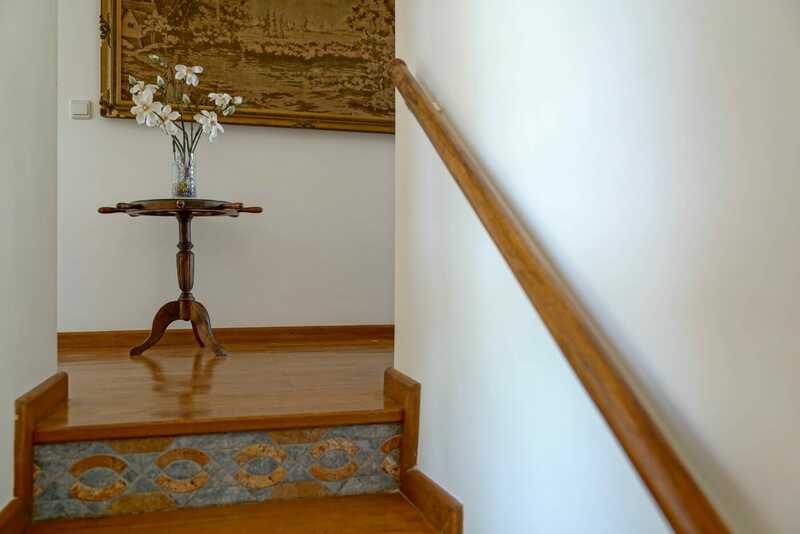 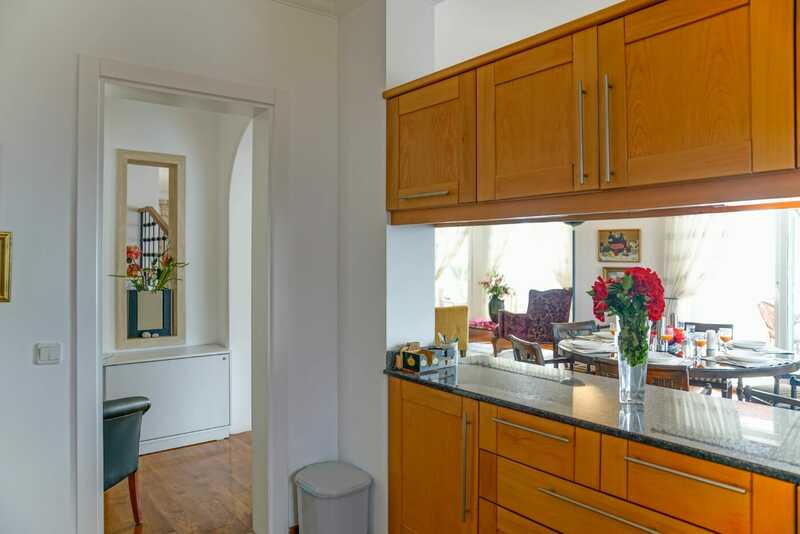 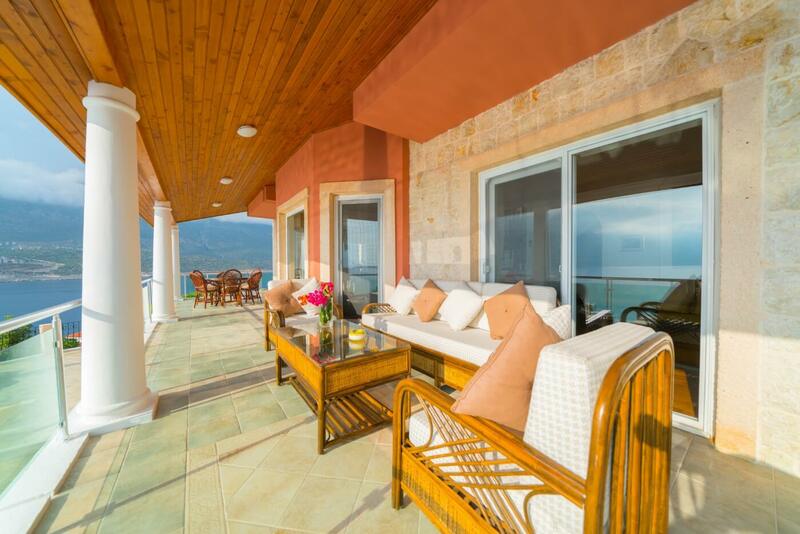 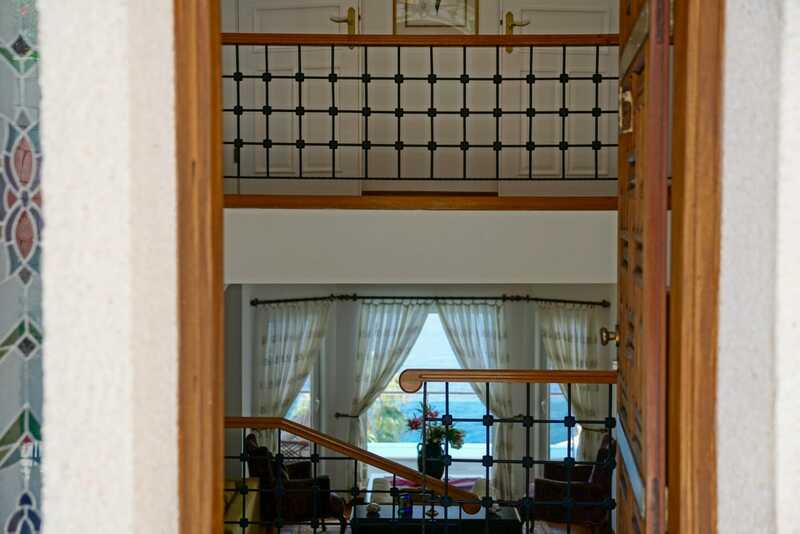 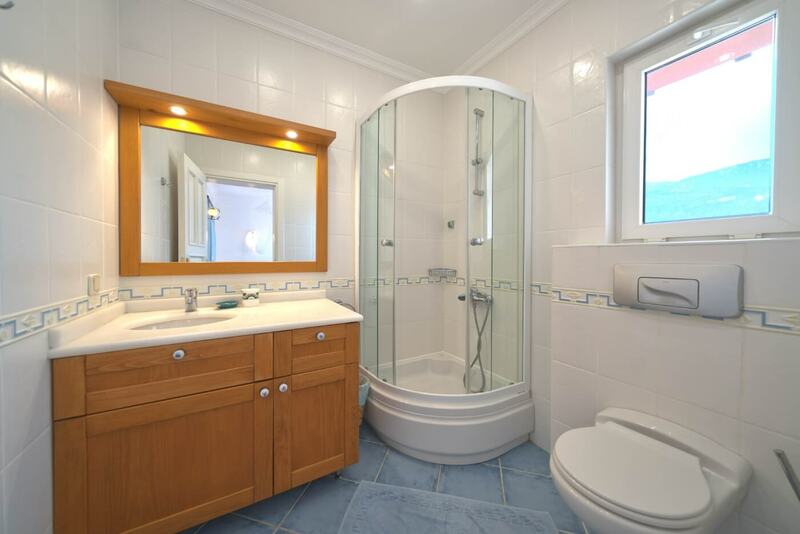 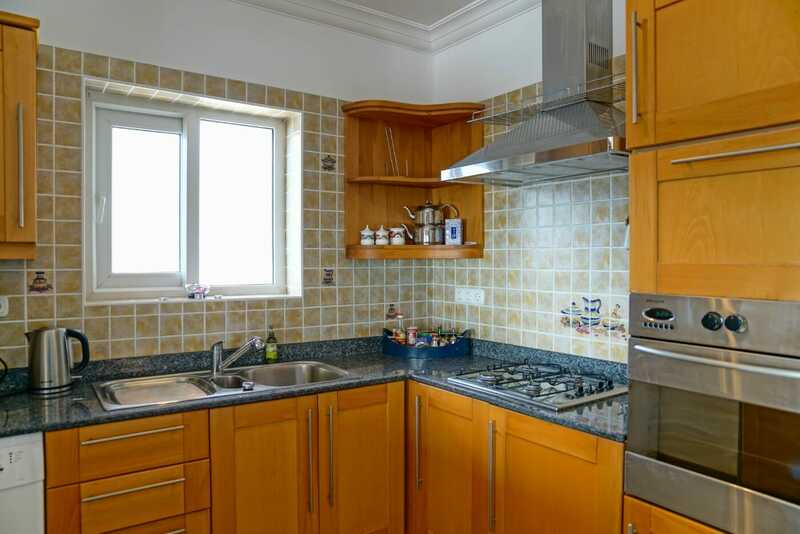 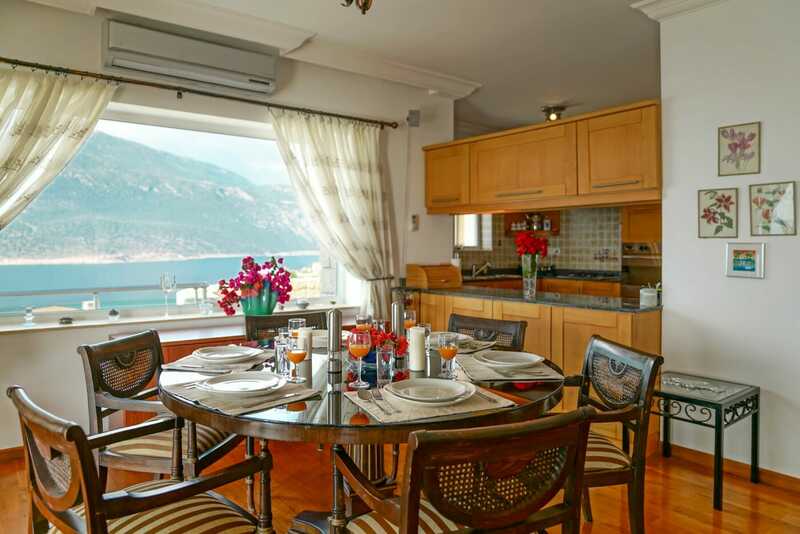 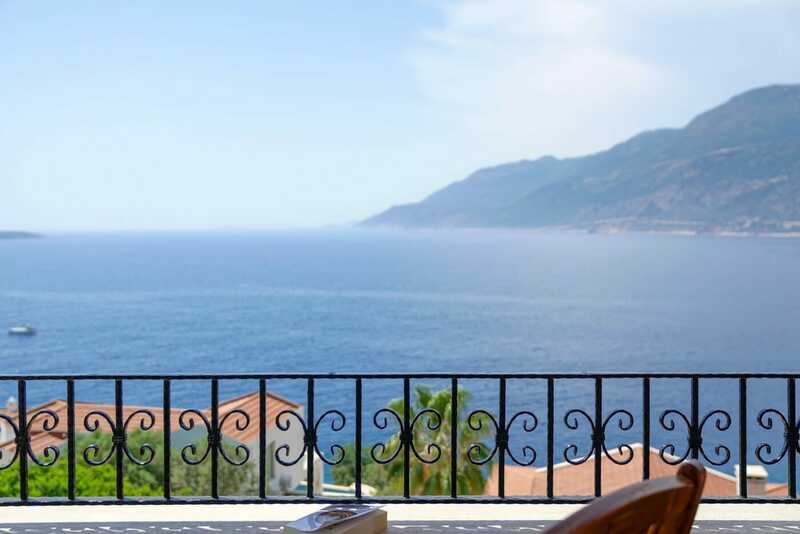 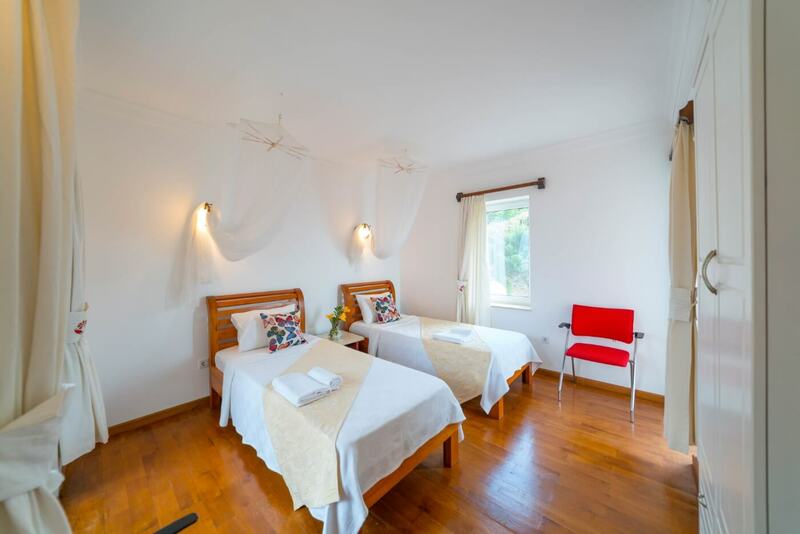 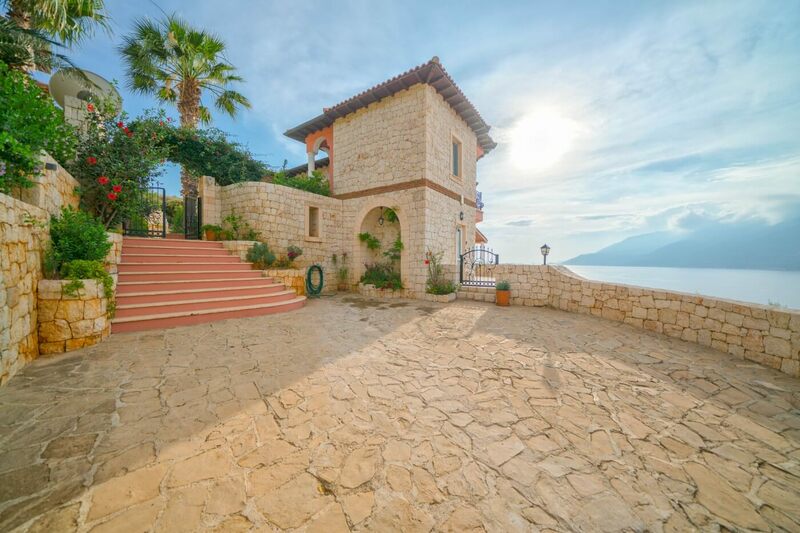 The Villa has all round exceptional uninterrupted sea views and is just 100m from the sea. 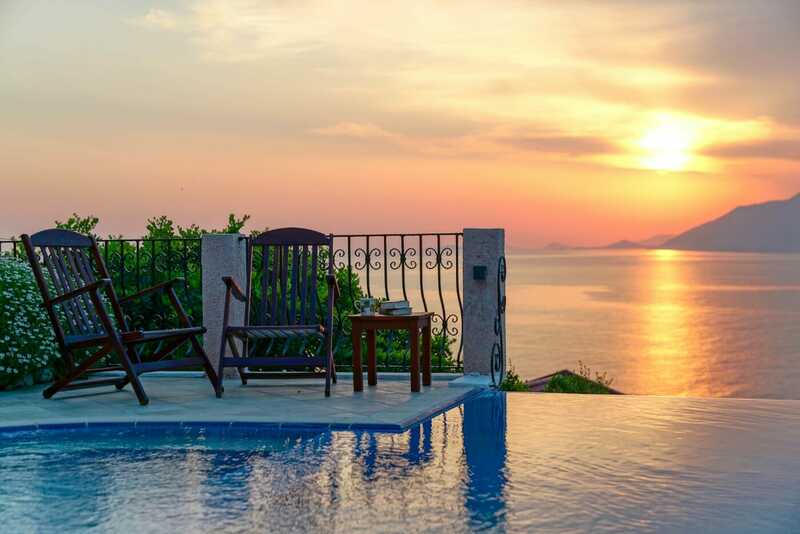 From the Villa there are private steps leading down to our own swimming platform into the sea. 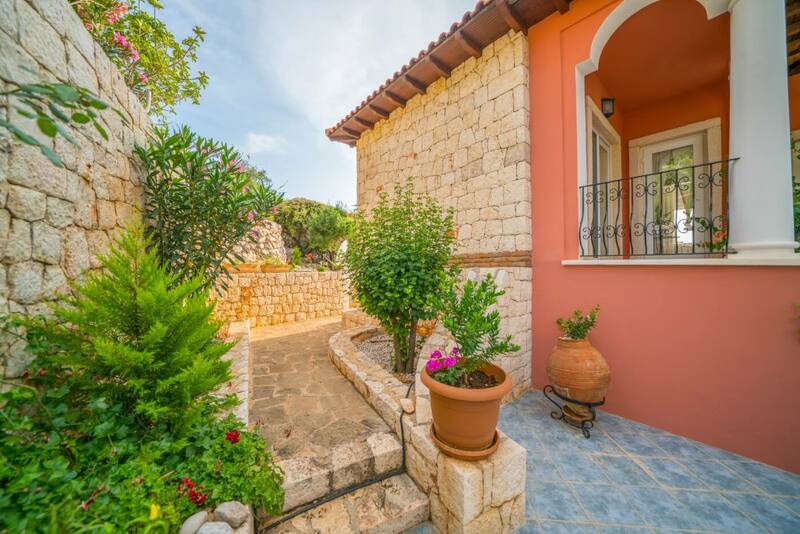 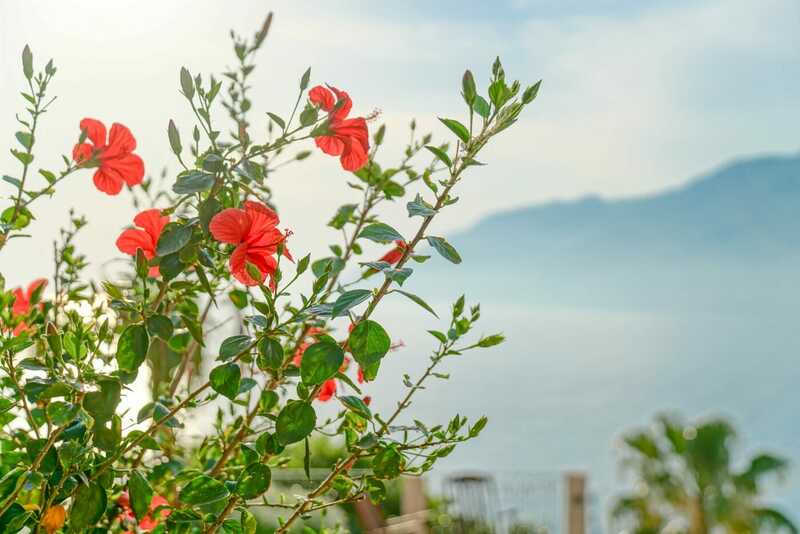 The large 800sq meter garden is planted with established olive trees and local flora retaining a natural appearance. 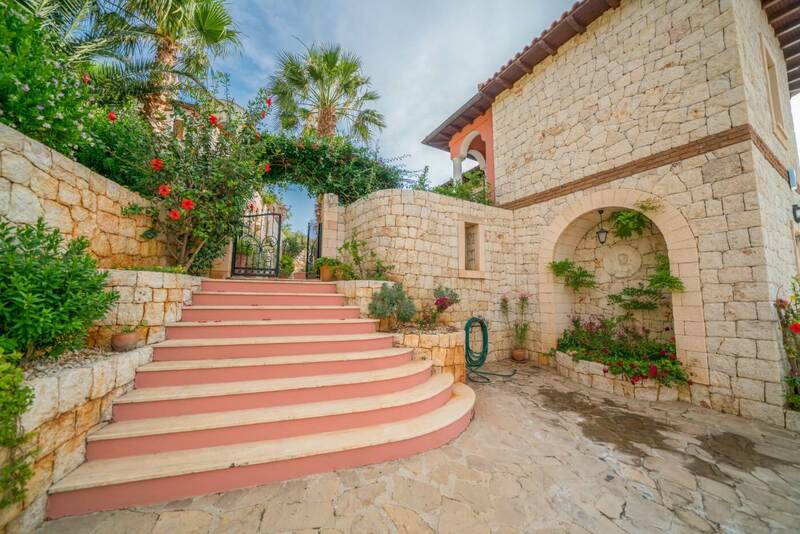 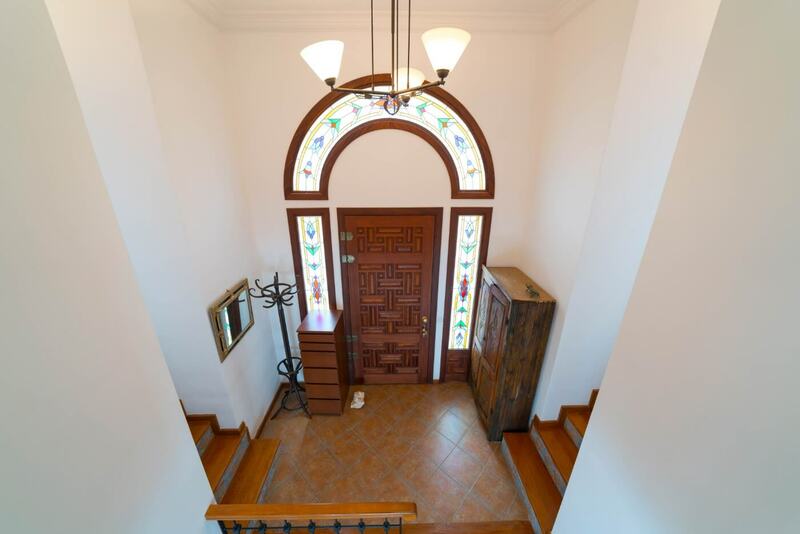 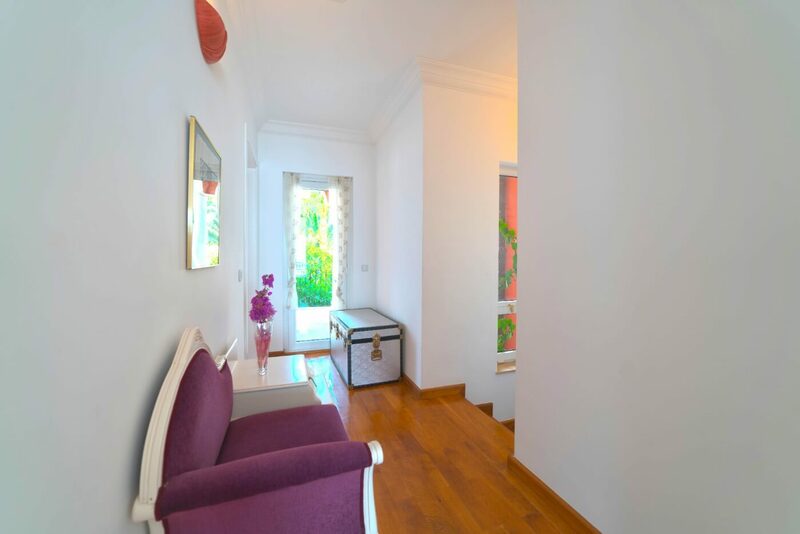 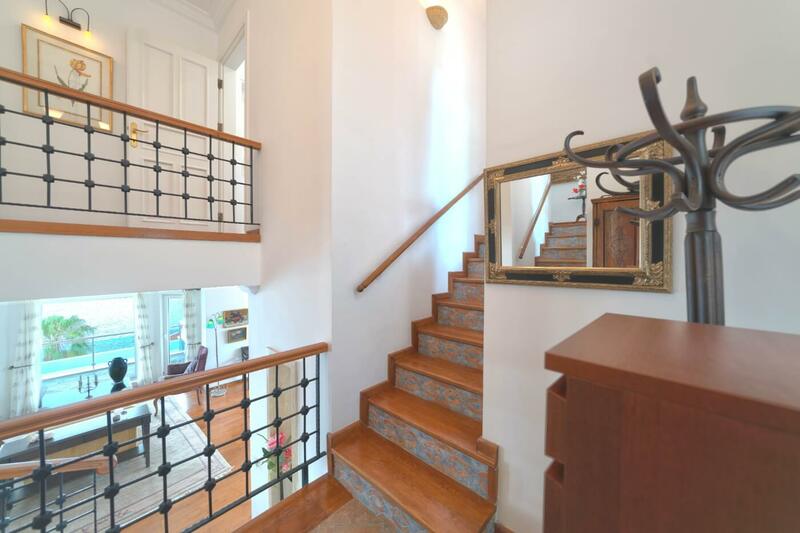 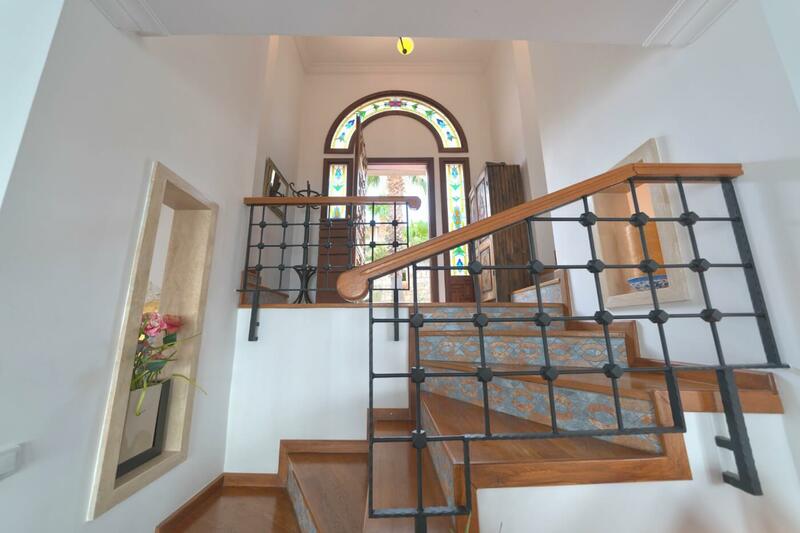 The villa is main entrance leads through an impressive Spanish style court yard. 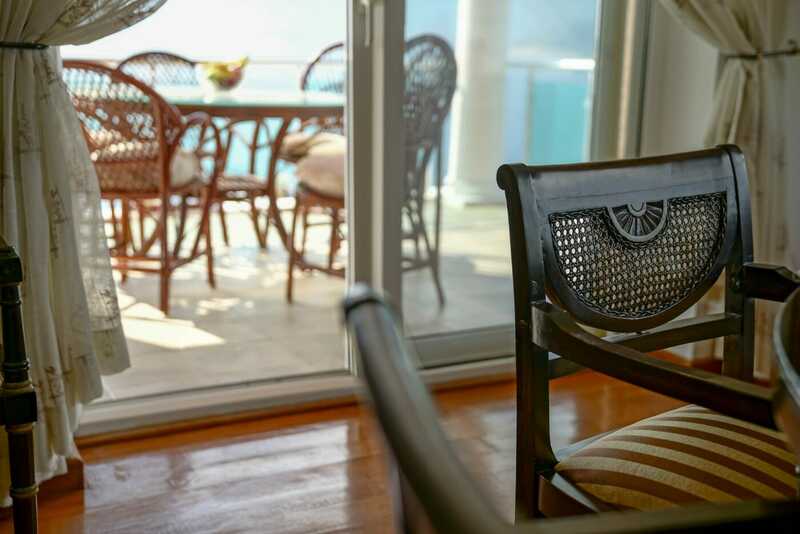 The courtyard is well sheltered, and provides a tranquil quiet dining area. 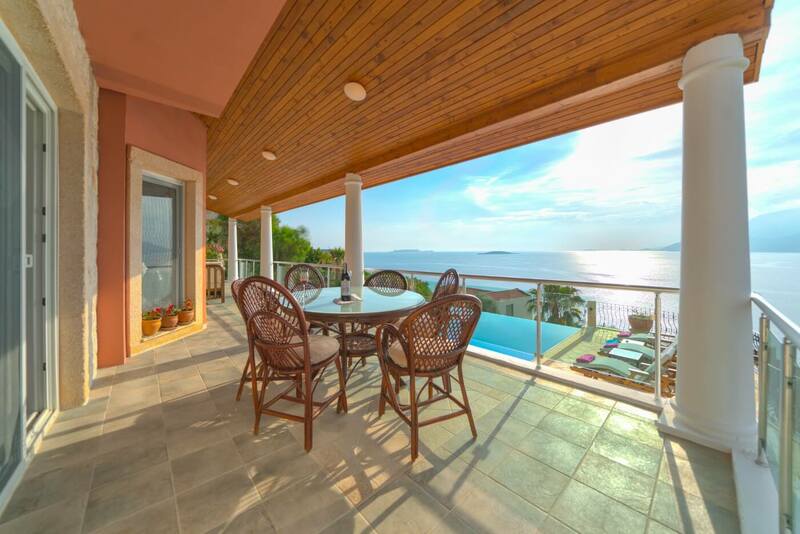 Surrounding the villa are large covered and open terraces affording many outside dining, seating, and secluded sunbathing areas. 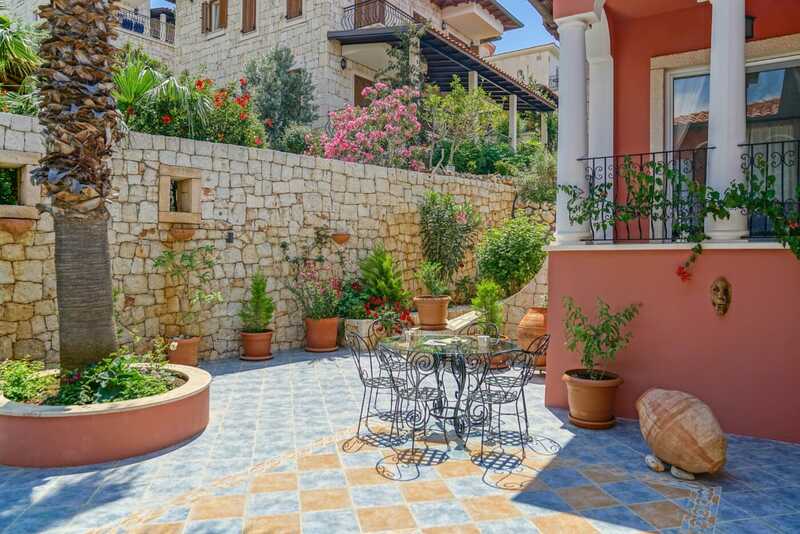 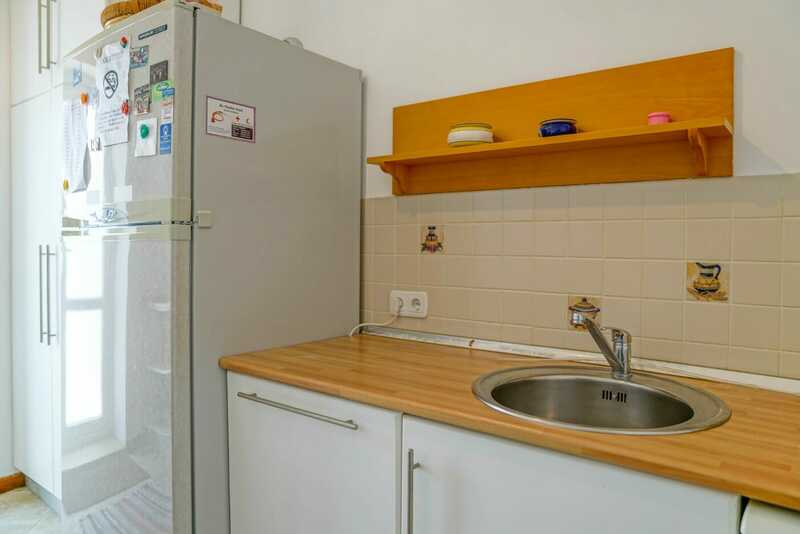 There is a traditional Turkish oven in the garden also a gas powered BBQ.